Looking for stainless steel fabricators for the foodservice industry? Put your trust in the experienced team at All-Type Welding and Fabrication. Backed by custom welding inspection services, we’re able to meet the stringent food-grade equipment requirements of the Food and Drug Administration (FDA), United States Department of Agriculture (USDA), National Sanitation Foundation (NSF) and other certification organizations. To learn more about our food-grade stainless steel fabrication and welding services, contact us today. ATWF is a trusted partner of original equipment manufacturers (OEMs) that serve some of the largest food production and packaging companies in the world. Contact us to learn more about our food-grade stainless steel capabilities and how we can meet the demanding specs on food-grade equipment. 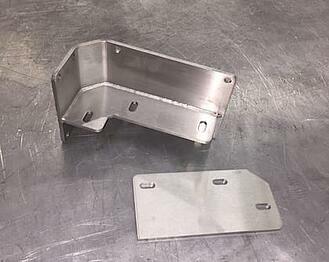 Working on a Design, Metal Fabrication or Welding Project for the Foodservice Industry?